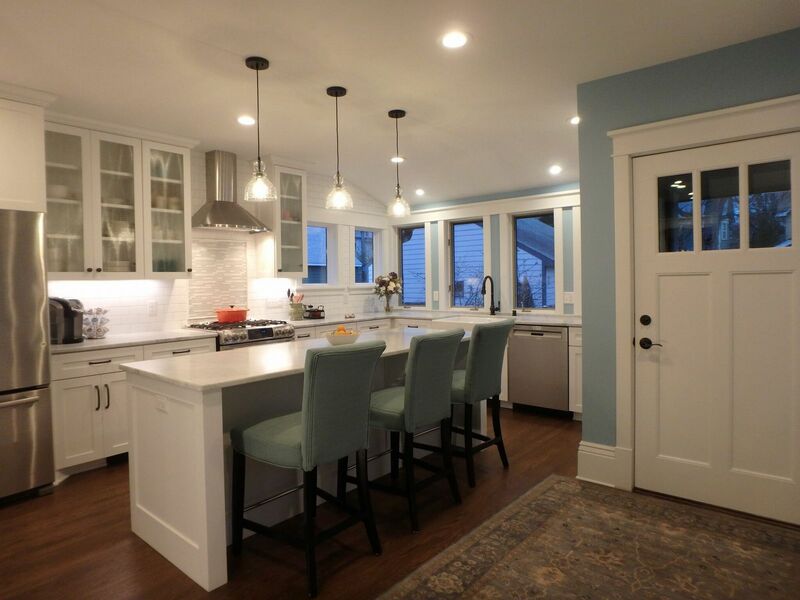 The National Association of Home Builders recently talked with design experts about the common elements of good kitchen design and the latest trends. The response? An open floor plan, a living room vibe and lots of storage, among other preferences expressed by both millennials and active adults. NAHB noted that the kitchen is the most important room in the house in terms of additional features and options. And in addition to an open floor plan, buyers want a large, comfortable kitchen that's designed to impress family and friends. To that end, kitchens are looking more like upscale living rooms, with beautiful materials, and less like industrial workspaces. The look is clean and uncluttered, with marble or quartz countertops and horizontal lines; cabinets are extending to the ceiling. They're also wanting large kitchen islands as a place to eat or look at emails. Traffic patterns have changed, too, with the old-school kitchen desk often replaced with a beverage center, complete with a sink, icemaker and small fridge to reduce traffic bottlenecks around the main refrigerator. Streamlined cabinets and large kitchen island help to corral cooking items, but additional storage is moving to adjacent mudrooms. Home buyers are looking for additional appliances to speed and improve home meal prep, including steam ovens, warming drawers and induction cooktops; appliances are most likely to be stainless steel, although black stainless is also becoming popular. And although white kitchens continue to be in demand, second colors, often neutrals are used as accents or for bottom cabinets. For more on the latest in kitchen design from NAHB, click here.